This is a guide about candied pecans. Candied pecans can be enjoyed in endless ways. You can eat them by the handful, on salads, or even on top of ice cream. 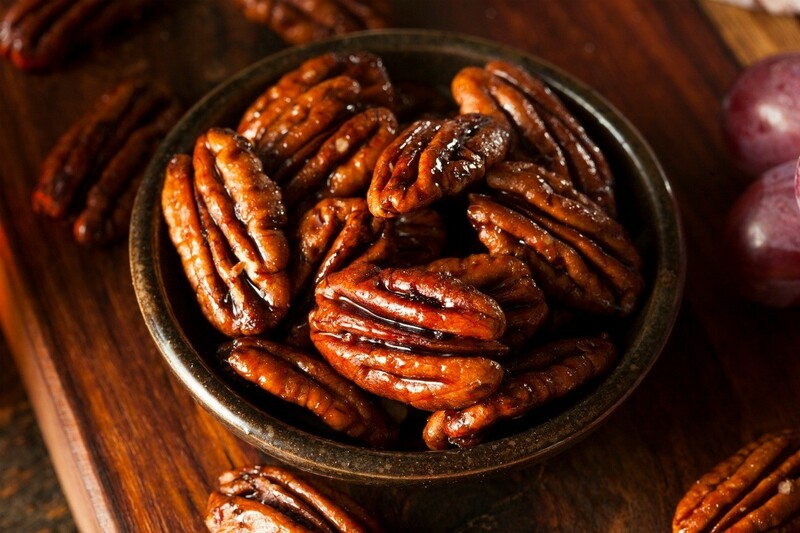 Here are some easy to make recipes for homemade candied pecans. Beat egg white and water till frothy. Toss in pecans. Sprinkle sugar on pecans. Stir until well coated. Bake at 250 degrees on a cookie sheet about 45 minutes. Stir and turn pecans every 15 minutes. Store in a tightly covered tin or jar. These make great gifts! Surprise your special someone this Valentines Day with some of these. pecans in freezer and my husb would love these. Yes, toss in pecans in the frothy egg white mixture & then the sugar and stir till well mixed. Hope this works for you. Combine sugar and orange juice in a medium bowl; stir well. Add pecans; toss gently to coat. Spread in a buttered 15 x 10 x 1" pan and bake at 350 degrees F for 10 to 12 minutes or until lightly browned, stirring occasionally. Remove pecans from pan and place on buttered aluminum foil to cool. Makes 2 cups. Brown sugar, cinnamon, spices, and a bit of pepper give these roasted pecans their distinctive southern flavor. 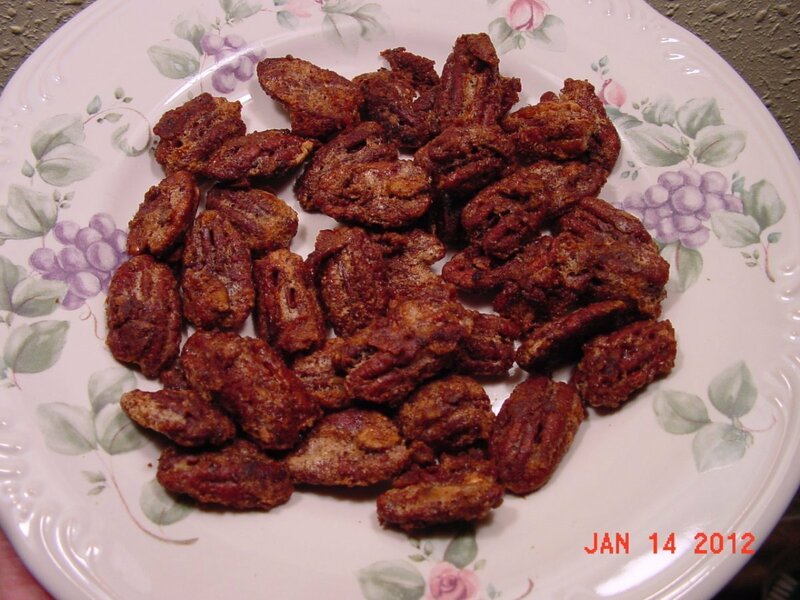 This page contains a Selma sweet pecans recipe.